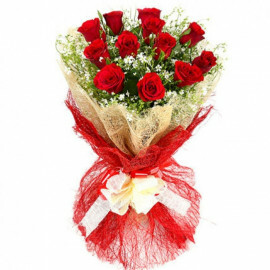 If you are planning to send gifts to someone who resides in Hyderabad, you need to go with a renowned online gifts store. 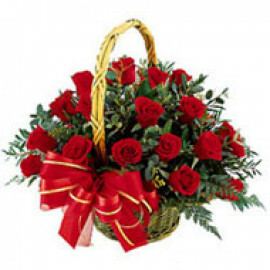 We at Myfloralkart offer excellent gifts delivery in Hyderabad service. 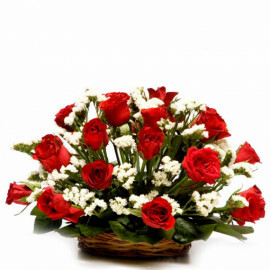 We have a wide network of flowers and cakes delivery in Hyderabad. 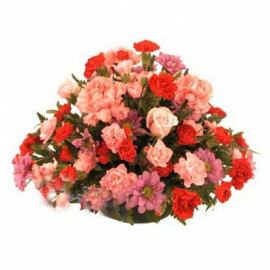 Therefore, people who are looking for online ways to send flowers, gifts, and cakes in Hyderabad consider our valuable services. Our flexible, swift and authentic online gifts platform helps you finding appropriate gifts online with least efforts. There is no doubt that cakes are the best option to celebrate an occasion like birthday, wedding anniversary, and other significant days as well as festivals. 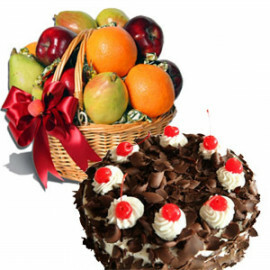 Hence, knowing this fact, we at Myfloralkart have created a unique online cake delivery in Hyderabad platform. 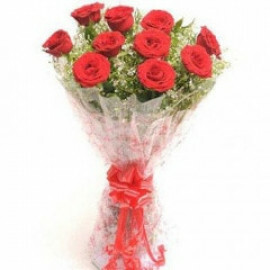 By using this exclusive platform, you can easily send gifts to your desired people, residing anywhere in the Hyderabad. 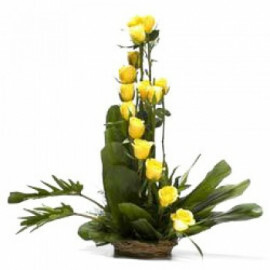 You just need to provide details about the location, name of the recipient, and other information, we at Myfloralkart will send your chosen gifts to your desired destination in Hyderabad. 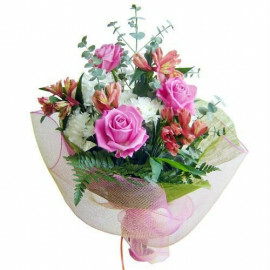 Flowers without any doubt are the best medium to express one's feelings, emotions, and love for a particular person. 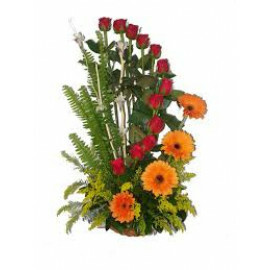 This is the main reason why most of the contemporary people love sending flowers to their dear ones irrespective of the occasions. 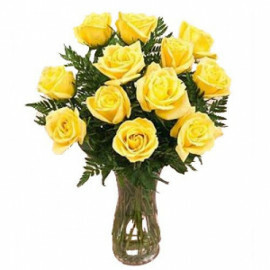 We at Myfloralkart have categorized the flowers assortment by demand such as get well soon flowers, birthday flowers, valentine’s day flowers, friendship day flowers, father’s & mother’s day flowers, and many more as the list is endless. 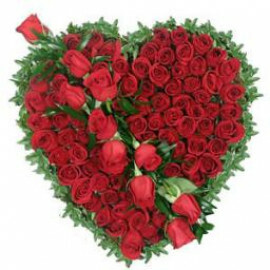 So, if you want to send flowers to Hyderabad to someone special who resides in this prominent city, you must go through our huge collection of mind-boggling flowers. 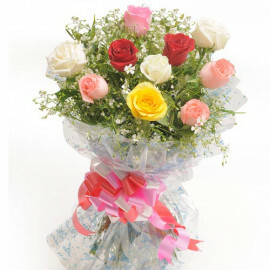 Unlike traditional gifts stores, online gifts store help people in sending gifts with great precision. 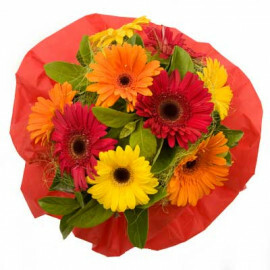 We at Myfloralkart have a giant network of gifts delivery in Hyderabad so that our clients can enjoy the best possible services. If your loved one lives in Hyderabad but you reside miles away from him, you need to send your wishes in the form of a mesmerizing gift. 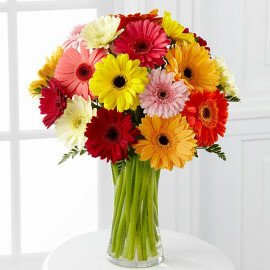 Choosing an appropriate gift online is certainly a crucial task to accomplish. 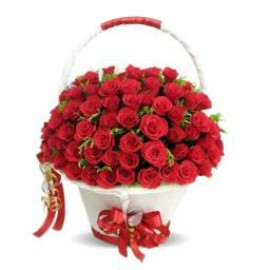 Thus, knowing this problem of modern people, we at Myfloralkart have brought an enormous anthology of gifts online. 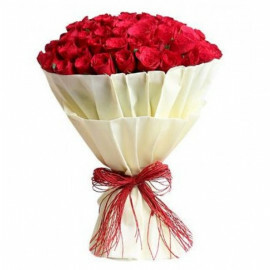 Myfloralkart is considered as the best online cake delivery in Hyderabad service provider. No doubt, cakes are the most important aspect of any festivals and events. An attractive, colorful and delicious cake can enhance the overall positive volume of a party whether a birthday party or a simple get together party. However, here one point should be noted that if you’re going to buy cakes for someone else, you need to consider his likes and dislikes in terms of flavor, color and size of the cake. This way, you can easily make your special one even happier than ever. 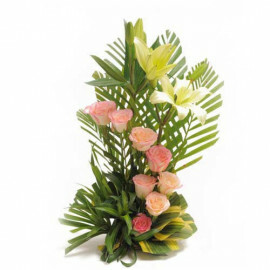 On the other hand, if you only want to send your greetings to someone, you can send flowers to Hyderabad wherein he or she resides. 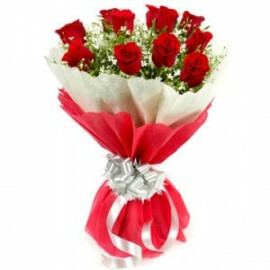 Sending flowers to someone can easily express your feelings on how much you care about that particular person. 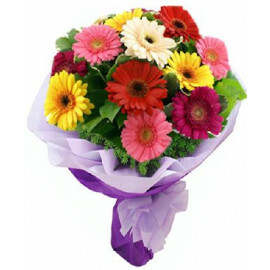 Want to deliver flowers and cakes to a specific location in Hyderabad? Abids,Aghapura,Bank Street,Basheer Bagh,Chikkadpally,Goshamahal,Gowliguda,Gun Foundry,Himayath Nagar,Hyderguda,Kachiguda,King Koti,Koti,Nampally,OsmanGanj,Ramkoti,RTC Cross Road,Sultan Bazar,Amberpet,Boduppal,Ghatkesar,Habsiguda,Kavadiguda,Nacharam,Nagole,Nallakunta,Narayanaguda,Tarnaka,Uppal,Vidyanagar,Adarsh Nagar,Alwal,Ameerpet,AS Rao Nagar,Bagh Lingampally,Balkampet,Barkatpura,Bazarghat,Borabanda,Chanda Nagar,Chilkalguda,Chintal,Erragadda,Erramanzil Colony,Fathenagar,Ferozguda,Gandhi Nagar,Greenlands,Kalyan Nagar,Kamala Nagar,Karkhana,Khairatabad,Kompally,Kukatpally,Lakdikapul,Lalaguda,Mahatma Gandhi Rd,Mallepally,Medchal,Miyapur,Moosapet,Moti Nagar,Necklace Road,Nehru Nagar,P. G. Road,Panjagutta,Patancheru,Prakasham Nagar,Punjagutta,Ram Nagar,Ramachandrapuram,Ranigunj,Safilguda,Saifabad,Sanjeeva Reddy Nagar,Shamirpet,Shapur Nagar,Sikh Village,Sitaphalmandi,Somajiguda,Sri Nagar Colony,Tank Bund,Tar BundVengal Rao Nagar,Yellammagutta,Yellareddyguda,Yousufguda,Afzalgunj,Auto Nagar,Bahadurpura,Balapur,Begum BazarBhavani Nagar,Chaderghat,Chaitanyapuri,Champapet,Chanchalguda,Chandrayangutt,aCharkaman,Charminar Road,Chudi Bazar,Dabeerpura,Dilsukh Nagar,Doodh Bowli,Esamia Bazar,Falaknuma,Fateh Darwaza,Hayat Nagar,Hayathnagar,Karmanghat,Kishana Bagh,Kothapet,L.B. Nagar,Malakpet,Moghalpura,Moosarambagh,Ramakrishnapuram,Saidabad,Santosh Nagar,Saroor Nagar,Shah Ali Banda,Shamshabad,Siddiamber Bazar,Vanasthalipuram,Yakutpura,Ahmed Nagar,Asif Nagar,Banjara Hills,Gachibowli,Gudimalkapur,Hitech City,Humayun Nagar,Izzat Nagar,Jubilee Hill,Karwan,Kondapur,Langar House,Lingampally,Madhapur,Manikonda,Masab Tank,Mehdipatnam,MLA Colony,Mozamjahi Market,Purana Pul,Rajendra Nagar,Ranga Reddy,Tolichowki,Vijay Nagar Colony. Products in this category have been rated 4.7 out of 5 based on 73 reviews.